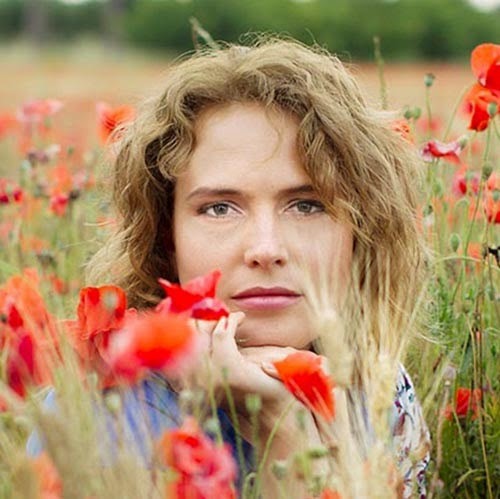 This article was written by Lyudmila from woolsolution. I was many time in Sain-Peterburg but never in this factory, but I heard a lot about it. 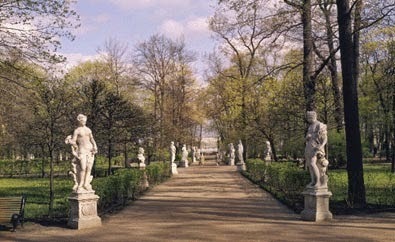 The Summer Garden in St. Petersburg is home to allegorical marble sculptures acquired from Venetian sculptors Francesco Penso, Pietro Baratta, Marino Gropelli, Alvise Tagliapietra, Bartolomeo Modulo and others for Russia's new capital in mid 1700s. 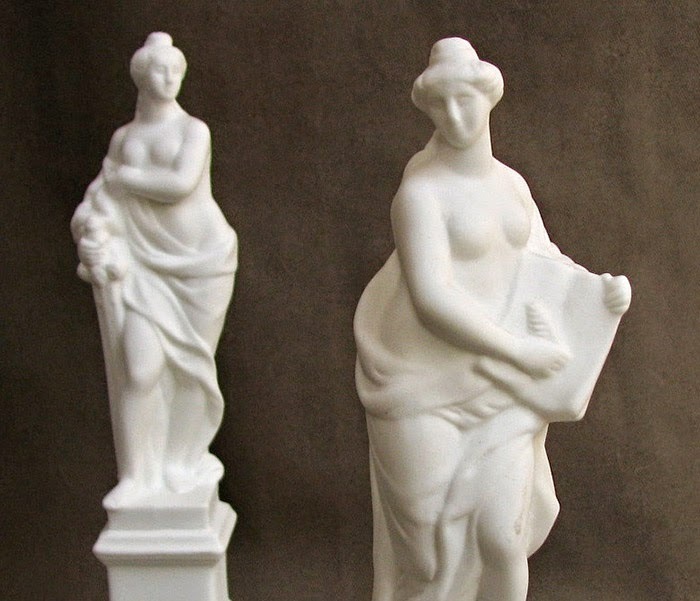 In late 1970s a group of artist of Lomonosov's factory started creating porcelain renditions of the statues from the Summer Garden. It took almost 2 decades to complete the project. 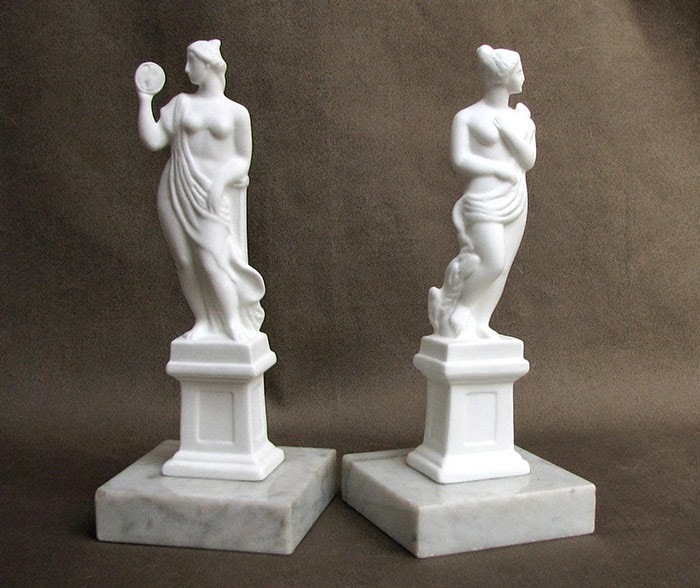 All figurines were made out of white unglazed porcelain and have a great decorative look. Unglazed porcelain also is called biscuit ware. 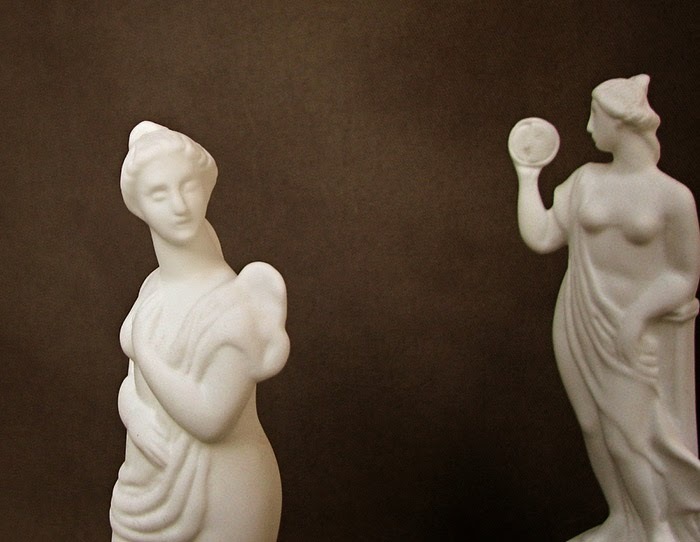 LFZ is the first in the country to have worked out technology and set up production of the collectable and decorative items made out of Bisque porcelain. 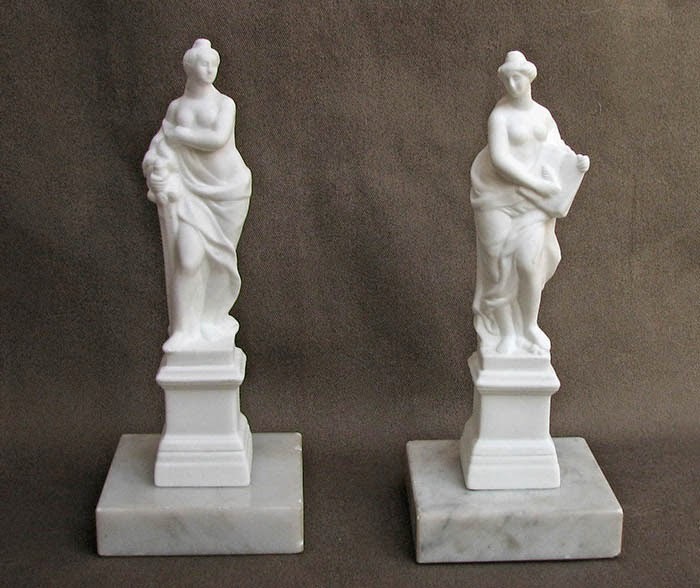 The first figurines were cast in 1976 by one of the prominent masters of a porcelain plastic style of the Leningrad Porcelain Factory Elvira Eropkina*. This pair represents The Allegory of the Day and Night. The Day Figurine holds a mirror where the profile of the Night is reflected. Exactly like on a clear sky we see at day time sometimes the reflection of the moon. They are not copies but interpretations of the original statues. Timeless Beauty..., I mean that it is so good and beautiful that it cannot be affected by changes in society or fashion.